It saddens us here at HYPS to be forced to defend the professional protocol of ourselves, and the entire chain of custody regarding Cookie, but this has now become necessary due to unsubstantiated allegations, slander, libel and defamation of character on a charity level and a personal level. Some of the private messages and public comments received fall into the remit of harassment and bullying. Everything below is evidenced fact, we have paperwork and time stamped paperwork to support this, along with witness statements should the need arise. Cookie was found straying by a member of the public and was taken to the kennels used by the local authority to hold stray dogs on 28/01/18. She was scanned for a microchip on arrival at the holding kennel as her collar held no ID tag. All documentation was completed as per protocol and we have copies of all relevant paperwork including date, stamp and chip number. All reasonable attempts were made by the local council to contact the registered owner, we know this because there was conversation regarding how tracing the owners was going, transfer of Cookie into HYPS care was delayed beyond the legal 7 day holding period by the Council to allow further time to locate any owner for her (evidenced via online messaging). The local council went above and beyond standard protocol and also included door knocks at the registered address and waited for as long as possible and practical beyond the legal holding period. In total Cookie was given 12 days for her family to find her, but unfortunately no attempt was made to trace via her local council, no lost dog reports were made, nor was there any response to their contact attempts. As Cookie was about to be destroyed, we at HYPS were asked to step in to save her life, made space for her and took her into the care of the rescue. 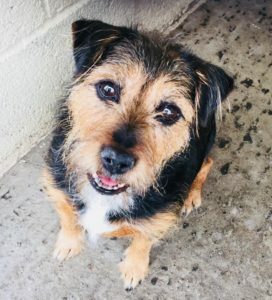 Cookie arrived with us on 09/02/2018 via a transporter accompanied by paperwork from the kennels – everything in order. She was signed into our care, vetted, cared for, treated for parasites and made available for rehoming, home checks were carried out as she prepared to go to her new home. 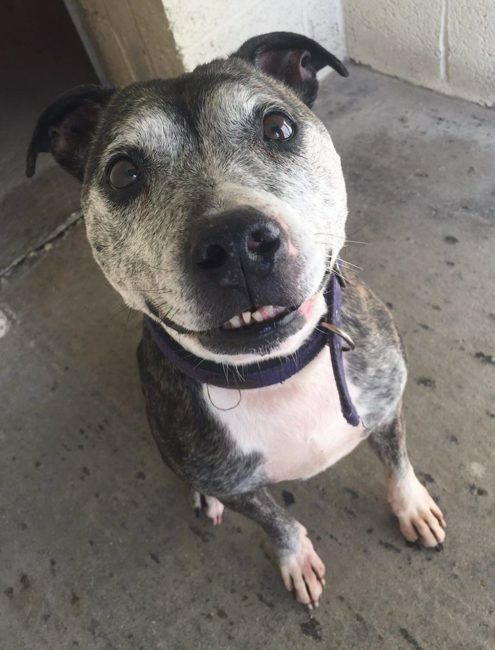 HYPS received first contact (a month after coming into HYPS care on 09/03/2018) from a lady claiming to be a family member of Cookie’s owner. We responded immediately to this email (we will not discuss matters such as this via social media platforms) and explained that unfortunately Cookie was set to be rehomed, briefly explained the legal status, offered apologies and assured that Cookie was going to a lovely family and that she would have support from HYPS for life and would be well cared for following her collection. At this point it was out of our hands entirely as verbal contracts, payment and arrangements had already been made. Protocol was followed at every juncture. No laws were broken, and no ethical issues arose, to put it bluntly Cookie would have lost her life a month ago if it weren’t for HYPS. 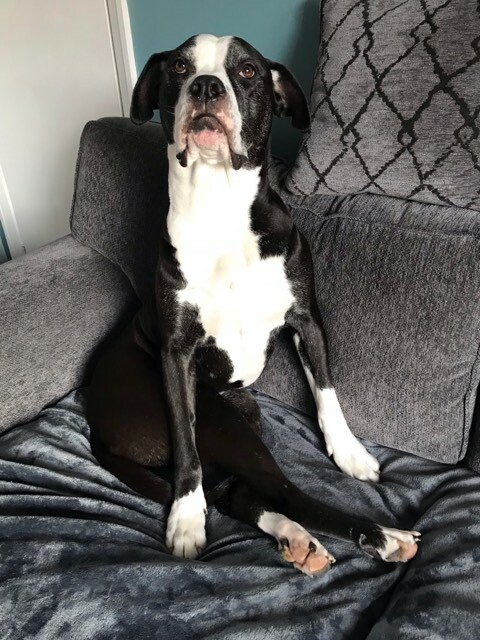 The council did their duty and more, HYPS saved a life and funded her health and safety, a lovely family went through a home visit, paid for her adoption and adoption contracts have been signed. It is very sad if the chip details were incorrect, and that the owners perhaps didn’t know how to trace their dog, and of course we sympathise, genuinely, but HYPS is in no way responsible for any of this, only for saving Cookie’s life and giving her a second chance. This should serve as a reminder to all owners to keep details up to date, and to make sure owners are aware of what to do and who to notify if their dog does get lost, because we are all in this for the dogs despite the way many individuals who pertain to be involved in dog rescue behave – and if we can’t reunite dogs this is what happens or much worse in many cases. The police will become involved and issue warnings to those involved in the slander currently occurring on social media if we decide to take this further. Although we don’t like to stoop to the level of the accusing individuals, we must defend ourselves and if this continues, charges will be brought. All messages and threatening, abusive communications are on file, and all will be taken seriously if we are forced to continue down this road. The involved Council are also aware of the situation and will become involved if necessary. Please note, HYPS are not permitted or obliged to deal with anyone except the ‘keeper/owner’, most documentation is confidential under data protection, but will happily be shown to the Police if required. Cookie is a very sweet little Terrier crossbreed (possibly Border x Yorkie?) who is a recent arrival with us from a stray kennels. She is around 8 yrs old and could do with losing a little bit of weight! Cookie is a friendly little lady who enjoys having a fuss, she’s not been assessed around children so will be looking for a home with children aged 12+ until further assessment. She has been a really good girl in kennels and is very clean and tidy, knows her commands, loves her food (she’s on diet portions at the moment bless her!) and enjoys playing with a tennis ball! She likes a good walk, and is quite good on the lead. 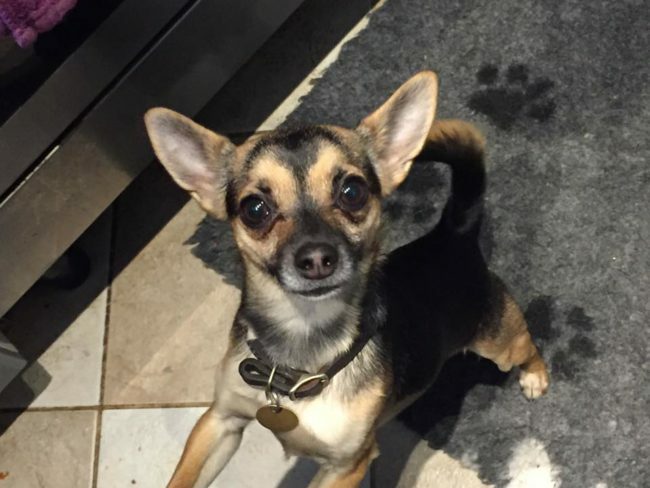 A terrier savvy home would be perfect for little Cookie!